Raise the sail and straight on 'til morning. How else could the honorable Henry Morgan celebrate his 30 years of governing Jamaica than with a race around the island? Gathering every Pirate and Buccaneer around, the ''Great Challenge'' will be a memorable race. Not to mention - what's better than a race where you can earn some booty and shoot at your opponents? The ''Great Challenge'', that's what! 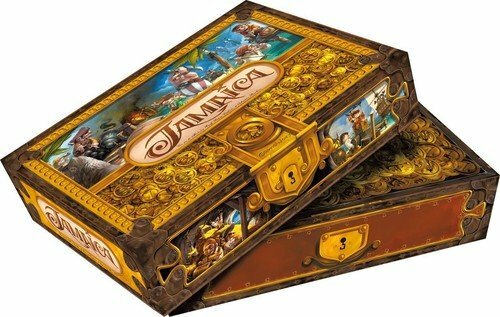 The goal is to sail around the island of Jamaica as fast as possible, while gathering the goods required: gold for port taxes, powder for naval battles and food to eat while out on the high seas. Each time the pirates meet, they will have to fight to try and steal the contents of each other's holds (and maybe pawn off a chest full of cursed gold at the same time). And so, hoist up the sails and head towards Port-Royal. May the fastest and richest win! 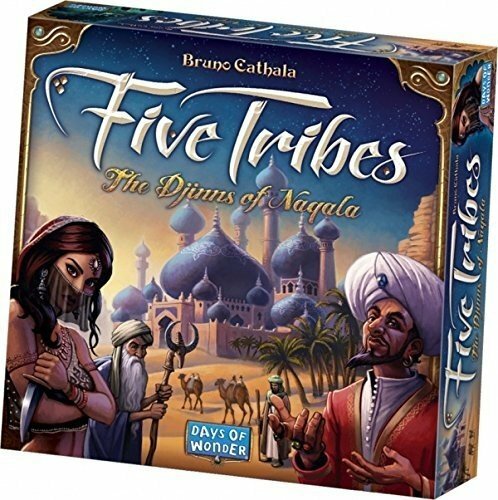 Five Tribes: Dhenim is a single card expansion for Five Tribes that adds a new djinn to the game: Dhenim, who's worth 6 vp at the end of the game. During play, Dhenim awards his holder 1 Gold Coin when his holder takes one or more yellow viziers and 2 Gold Coins when an opponent claims them. In Lawless , each player is in charge of a ranch in the Wild West. In order to become the richest ranch owner in the West, players must buy land and cattle and hire cowboys to look after them. All this, of course, must be dealt with amongst Indian wars, bank robberies, stagecoach attacks, gunfights at the saloon, cattle theft, gold rushes and all that stuff. In such a wild world, the legal ways are usually not the best ways to get richer. Lawless is a nice, fast paced and fun game of resource management, full of action and event cards, in which a strong theme and clever mechanics are deeply interwoven. Take the three cards of the current Age which were returned to the box during the game’s setup. Choose and construct one for free, place one in the discard pile, and your opponent constructs the third for free. This Wonder is worth 5 victory points. 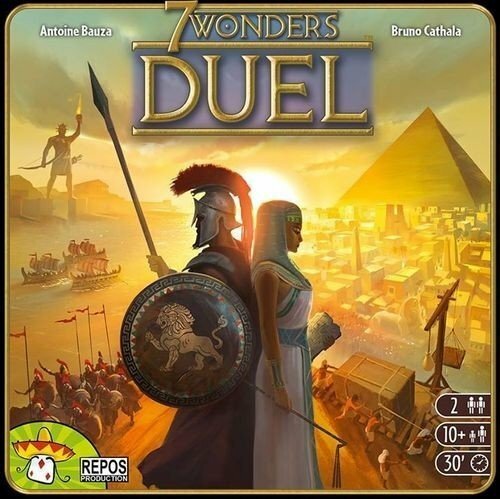 The Messe Essen Convention Center is a Wonder for the 7 Wonders: Duel game. The completed Messe is worth 2 points at the end of the game. It also allows the player, in the moment when it's built, to take one card from the topmost row of the drafting structure (the line lying directly on the table), even if the card is still covered, and build it in her own city for free - only paying the price of the wonder. The Manticore, a bonus card for Cyclades: Hades, included in Plato magazine #40 (October 2011). Effect of the card: the Manticore eliminates an opponent's hero! If a hero is on the same island as Chiron, it cannot be targeted by Manticore. Giveaway from the "Spiel 2011 in Essen (Germany)". Contains the follwing gaming material: 1 "Divine Favor" tile for "Hecate" 2 Hecate columns 6 cloth bags for the 5 player colors and one for hades (expansion) Note: You need the "Cyclades: Hades" expansion in order to use Hecate. Divine favors for Hecate: - Receive for Free: A Priestess card. - Only once per turn: For 2 GP, place columns on two different islands, regardless of who owns them. These two islands are now connected by an underground passage. This passage can be used to move troops from one of these islands to the other without fleets to carry them. If Hecate comes back into play, you may move either or both columns for 2 GP. Otherwise, these columns stay in place. Five Tribes: Wilwit is a promotional card that adds a new djinn to the game, who awards its possessor with 5 bonus VPs for every djinn they hold (including this) at the game end. 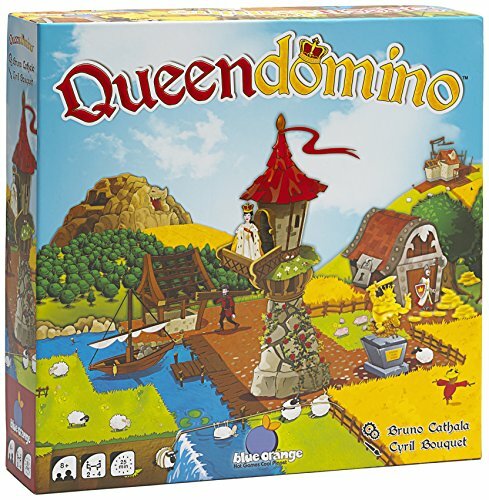 Designed for and released in the 2015 International TableTop Day Game Kit. Designed by Bruno Cathala and Ludovic Maublanc, Cleopatra and the Society of Architects is a fun and engaging family game that includes a three-dimensional palace that players compete to build. Players strive to become the wealthiest of Cleopatra's architects by constructing the most magnificent and valuable parts of her palace. Players, however, will be tempted to trade in materials of dubious origins in order to build faster. While these corrupt practices might allow an architect to stay a step ahead of the rest, they come with a high price: the cursed corruption amulets honoring Sobek, the crocodile-god. When Cleopatra finally reaches her new palace at the end of the game, she punishes the most corrupted architects (i.e., the ones with the most amulets), depriving them of riches or giving them as a sacrifice to her crocodile! The wealthiest architect from among those still alive wins. This new edition of Cleopatra and the Society of Architects has a new graphic design by Miguel Coimbra, a free-standing 3D palace, and rulebook updated by the designers for simplicity and fluidity, which incorporates these gameplay changes: The combinations of resource cards to discard in order to build pieces of the palace have been reworked. The player rewards for building the palace's pieces have been recalculated. The consequences of corruption have been reviewed. The Great Priest is no longer activated in the same way. The player count has changed from 3-5 to 2-4. There is a new specific system to manage the character cards, which are no longer part of the deck, and are instead handled separately. Nagaraja is a two-player game, taking place in India, where players move around the shifting paths of their temples in a race to cumulate treasure points. Score 25 treasure points (by adding up the points of revealed Relics and Amulets collected) to win the game. Each player has its own temple with locations for 9 temple rooms and randomly places his 9 Relics face down around his temple. Each round a new temple room is at stake. 3 MAIN STEPS IN A ROUND 1/ Players can get the temple room by sacrificing cards from their hand, which will determine the type and number of Fate sticks they will throw. Fate sticks are 4 faces dice with Fate points or Naga symbol. Once both players have chosen their cards, they reveal them and throw the Fate sticks shown on the chosen cards. 2/ Each Naga symbol on sticks can be used to activate a card still in the player’s hand, enabling the player to apply the card effect. Play continues in this way until both players have passed, ending the confrontation. 3/ The player with the most Fate points wins the room. He places the room in his temple and tries to create a path leading to a Relic to reveal (score) it and/or to collect Amulets. Be careful not to reveal the 3 cursed Relics, otherwise you lose at once the game and will be damned for eternity!!! 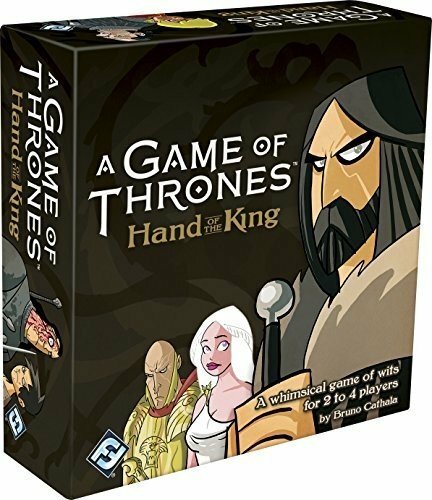 A GAMEPLAY WITH DUAL-USE CARDS AND STICKS Players must decide how to use the cards in their hands: for throwing sticks or activating their effects? Card effects can be applied on you or opponent's game and are relating to: - Sticks results - Relic positions - Room positions - Card drawing Results on Fate sticks can be used to win the room at stake (using their Fate points) or to activate cards (using their Naga symbols). There are 3 types of sticks (number of Fate points or Naga faces are different for each type). DILEMMAS, TWISTS, LOW-BLOW…! No temple room or Relic is locked in place, they can be moved/removed as you or your opponent activate cards… You could turn everything upside down!For example: - Make the maze slide - Swap the positions of relics - Place a Trap room in your opponent’s Temple - Change the results of the sticks - Discard action cards from your opponent's hand - Make him throw again his sticks… IF YOU… • Have ever dreamed of being an Indiana Jones, chasing relics in an Indian modular temple... • Adore putting a spoke in the wheels of your opponent… • Love gameplays balanced between strategy (cruel choices, anticipation) and fun (bet, bluff, press your luck) ... then Nagaraja is the perfect game for you! Abyss: Key Monster Tokens , which were contained in day 13 of the Brettspiel Adventskalender 2015 , are five monster tiles that provide a key. When a player draws a key monster token, they place it face up on the table, and it counts as a key to take control of locations. War & Sheep, Tony & Tino and Drake & Drake are the first two player games published by Eurogames. All three were designed by Bruno Cathala. Tony & Tino are two twin sons of the local Godfather. They are battling for the control of the Chicago streets. One who gains more money will have the honor of becoming the new Godfather. 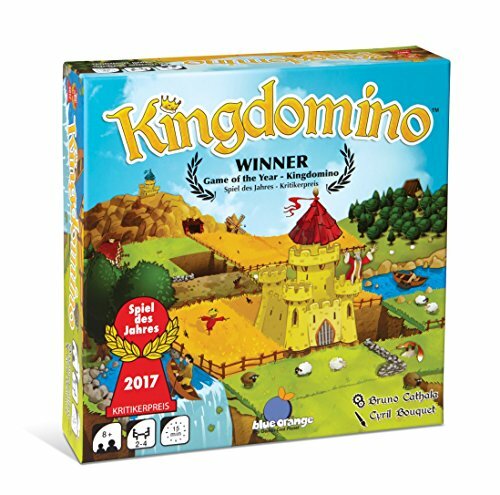 The tile placement system is somewhat reminiscent of Kingdoms, but in a much lighter vein. Part of the Eurogames Games for 2 Series. Two Promo cards are available for the Shadows over Camelot: The Card Game. They came free and were packaged on the outside of the base game. The first Bonus Card is Morgan card # 8: The next time a player chooses to Go on a Quest, the Picts and Saxons unite to form a single Quest. When computing the Total Rumor Value of all Quests, add the Rumor Values of all Pict and Saxon cards together. If the Rumors for Picts+Saxons were baseless (10 or less), place a single Black sword on the table; otherwise, place 2 swords (White or Black, depending on the Total Rumor Value of Picts+Saxons), on the Round Table. This makes your noble quest even more difficult by uniting the Picts and Saxons, letting the rumor of this new combined quest grow even faster. But there’s also a greater reward, as you will earn two white swords if you defeat this new combined army. Note: Mordred adds + 1 to each Pict and each Saxon card; Merlin # 1 cancels both the highest value Pict AND the highest value Saxon card. Merlin # 4 may cancel EITHER the highest value Pict OR the highest value Saxon card (at the player’s choice when he reveals that Merlin). The second Bonus Card is Merlin card # 6 The player who draws this card may immediately Go on a Quest of his choice and add up to 3 points to the Total Rumor value of that Quest (before revealing any of the cards in the Threats pile, of course!). Merlin can be a powerful ally when you face desperate situations… if he appears at the right time. But all bets are off if a traitor finds this powerful card! The 8th Knight was part of the (German) Spielbox-Magazin Number 3/2005. It was also included in: - Game Master Magazine, issue n°0 (Italian) - Jeux sur un Plateau, issue n°16 (French) - Games International issue n°22. Subsequently, the miniature along with the character card and an orange die appeared in Shadows over Camelot: Merlin's Company. Mr. Jack Pocket: Goodies , a mini-expansion for Mr. Jack Pocket that debuted at the 2011 Jugar x Jugar Game Fair in Granollers, consists of a new suspect character (James Maybrick) along with a corresponding alibi card and street tile. James Maybrick can replace any other character in the game, which is played with the same rules as before. Young Diplodocuses (Diplos) are fond of the tasty leaves offered by the neighboring pastures. To win, your Diplo team has to eat more leaves than your opponent's team…unless one of you decides to call the ferocious T. Rex to get rid of all his opponent's Diplos! To set up Jurassic Snack , create a square at random with the four playing boards, place four Diplos of your color on the matching egg spaces, then shuffle the grass tokens and place them face down on the 28 empty spaces. Two actions are available on a turn: moving a Diplo of your color or moving a T. Rex. The players take turns performing two actions each, which can be the same or different, and which can involve the same Dino or T. Rex, or not. A Diplo has one single goal: eating grass tokens. It moves in a straight line as many spaces as it wishes until it's blocked by another Diplo, a T. Rex, the edge of the playing area, or a grass token. In this last case, the Diplo takes the grass token to eat it and immediately applies one of the six effects: birth, T. Rex appearance, Diplo move, etc. The T. Rex has one single goal: scaring the Diplos away. The movement rules for the T. Rex are the same as for the Diplos'. When it meets a Diplo, the T. Rex is placed on the Diplo's space, and the Diplo is placed back into its owner's pool. The game ends when no grass tokens remain in the playing area. The player who has eaten the most grass wins. A game can also end when a player has no Diplo of their color in the playing area. Collectors box set that includes all of the Kickstarter stretch goals that were included in the King pledge for the original Conan Kickstarter campaign. Conan , designed by Fred Henry and based on the Conan universe by Robert E. Howard, is a scenario-based semi-cooperative asymmetric miniatures board game. One player is the Opponent, playing the Opposition forces, and the other players (1 to 4) play Conan and his companions: Shevatas the thief, Hadrathus the Priest/Sorcerer, Belit the pirate queen, Valeria the warrior, etc. The game is based purely on Robert E. Howard's novels and short stories (and not the movies or other non-Howardian material). The publisher has hired Patrice Louinet, a Howard expert, to make sure the art and the scenarios are compatible with Howard's vision. Each game is a scenario, played on a map. There will be several maps — Pictish Village, Underground temple, Tavern, Pirate ship, etc. — and each map can have several scenarios set on it. The game is fast, one hour approximately. It's possible to play several scenarios in a campaign, but you can also play each scenario individually. There will be a dozen playable scenarios in the base box. At the beginning of a scenario, players choose their team (Conan and two or three other heroes). The Opponent gathers all the miniatures (picts, Necromancer, skeleton warriors, monsters, etc. ), tokens, cards from the chosen scenario. The game usually plays in a limited number of turns (ten, for instance). 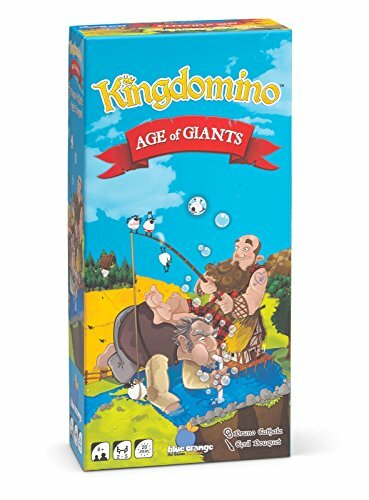 Each scenario can have very different objectives: find the princess captured by picts and hidden in a hut and leave the camp before the pict hunters return; find the magical key to open a sealed door, steal the jewel and leave; kill the Necromancer by the end of turn 10; survive by the end of turn 10; escape the prison; etc. During their turn, the heroes can activate or rest. If they activate, they can spend "gems" from their energy pool to do all sorts of actions: move, fight (melee or distance), defend, pick a lock, reroll, etc. If they rest, they can move a lot of gems from their "spent" pool box to their "available" pool box. When they take an action, they throw a number of dice equal to the number of gems they put in their action. There are three different kinds of dice: yellow (the weaker dice), orange (medium) and red (strong). Each character has a color based on their specialty: Conan throws red dice in combat while the Sorcerer throws yellow dice in combat; the thief throws red dice in Manipulation actions, while Conan throws orange dice; etc. Each player can have equipment cards (armor, magic potions, weapons, etc.) which give them bonuses on their dice rolls. The Opponent plays differently. He uses a board with eight slidable tiles, plus his own Energy gems. Each tile corresponds to one unit (1 to 3 miniatures) on the game mat, and all of the miniature abilities are written on this tile (movement, armor, attack, special abilities). The tile position on the board corresponds to the numbers 1-8. The Opponent has a pool of energy gems and each time he activates one unit, he needs to spend a number of gems matching the tile placement: tile#1 costs 1 energy gem, tile#2 costs 2 gems, etc. Whatever tile the Opponent chooses to activate, he spends the corresponding energy cost (moving his energy gems from the available pool to the spent pool), then takes the tile out and moves it to the end of the sliding track: If he wants to activate this unit again, it will cost him 8 gems, because the unit is now on position 8. The Opponent can activate a maximum of two tiles, and he regains only a certain number of gems each turn (depending on the scenario). In a typical scenario, the heroes need to accomplish something and the Opponent wins if the heroes fail to reach their objective — but in some scenarios, the Opponent has his own objectives and the Heroes win if they prevent him from accomplishing his goal. Components (according to the back of the box): 33 spell cards (actually 41 in French, 41 in English) 33 equipment cards (actually 29, 5 blanks, and 5 labeled A through E ---two sets of 39, in English and French) 61 tiles (actually 90, see below) 39 tokens 17 Hero sheets 1 scenario booklet (1 in French, 1 in English; 4 scenarios) 1 map board 6 dice 1 dice bag 1 map of Conan's world (single-sided, English only) 115 miniatures (plastic) The tiles need to be looked at more closely. 29 come in English-French pairs, 16 are unique (meant to be used in either language: the Event tile, the two Pirates, and 13 Heroes), and 8 are non-lingual pairs (e.g. Conan, Thaug, Constantius, Slasher, etc.). A single-language set thus consists of 29+16+8 = 53 tiles, the remaining 37 being set aside. Ancient Ruins is a promo sold with Cyclades: Monuments expansion at Essen 2016. Contains two Ruins tokens and the corresponding Ruinscards. From the included rules sheet: Set up of the Ruins token At the end of the first offering phase and before actions are permed, the player who has chosen Apollo picks two different islands (or territories if playing with the Titans expansion) which are not controlled by any player and places a Ruins token on each. Note: If more than one player have chosen Apollo, whoever receives the prosperity marker gets to choose where to place the Ruin. Controlling the Ruins When a player takes control of an island containing a Ruins token, he randomly draws a Monument card amongst the unused Monuments set aside at the beginning of the game. He places the card face up in front of him and places the card matching the Ruins token on top. This player alone is allowed to build that Monument following the usual rules but can only place it on the island with the Ruins token. When another player conquers the island, he seizes the card at the same time. Now he only can build the Monument on this island. As soon as the monument is built, the Ruins token and the corresponding card are both removed from play.